Due to its location and the natural attraction of the alpaca, the farm draws regular enquiry from tourists visiting the Fleurieu Peninsula. 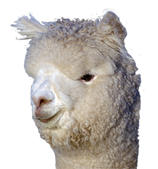 Ambersun Alpacas welcomes visitors by appointment. Bus companies regularly incorporate a stop to Ambersun Alpacas on its tourism route. The local region supports a plentitude of attractions: wineries, trout farm, deer farm and venison shop, blueberry farm.